There is no better way to understand the Wines of British Columbia than to visit the places they’re made. There are four main wine regions in BC, each producing a range of grape varieties and wines – the Okanagan Valley, The Wine Islands (Vancouver Island, the Gulf Islands), the Fraser Valley and the Similkameen Valley. 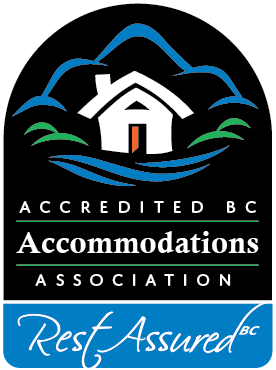 Accredited BC Accommodations has members throughout all these regions, and invites you stay with us as you “Follow the Wine Trail” on a journey through any or all of these beautiful parts of our province. Country breakfast, gardens & majestic views. 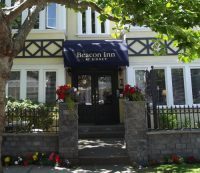 Walk to Mission Hills & Quails gate, visit 9 other local wineries in the area, walk to beaches & 10 mins drive to shopping. 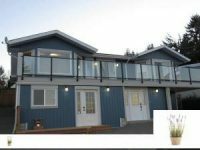 Our BnB is ideally located in the Cowichan Valley and its wineries. We are located in the heart of Okanagan Wine Country with 10 wineries within 5 minutes of our front door. With our central location you can plan your day trips to include any of the 180+ wineries in our region. Enjoy a special meal at Old Vines Patio at Quails Gate Winery(2kms), The Terrace at Mission Hill(3 kms) or walk down to the Blu Saffron Bistro at Volcanic Hills Estate Winery for wine and appies, or a delicious dinner Guided Wine Tours are available with free P/U at our B&B from many local wine tour companies. Port Moody City Hall Galleria hosts the Best of BC Wines Uncorked, a semi-annual wine- tasting event Saturday, Nov. 2nd. For more details go online at www.bcuncorked.ca, by phone @ 604-931-2008. Book now for Nov. 1-3 Fri.-Sun. 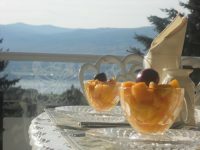 nights at Mainstay Oasis Bed & Breakfast and receive the 3rd night free. Planning a day of wine country touring? 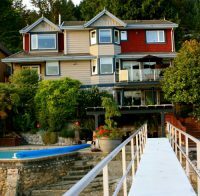 Abbeymoore Manor makes a great base for both the Cowichan valley wineries and the Saanich Peninsula/Gulf Islands. Try Church and State's gold medal "Coyote Bowl" Syrah or the amazing ciders of Merridale and Sea Cider. Fancy a bubbly - don't miss Zanatta where much more than wine abounds. Vancouver Island's viticulture is growing leaps and bounds so don't miss an opportunity to see what our amazing vintners have to offer. The Saanich Penininsula is home to several award-winning wineries as well as a cidery, each offering tasting & tours as well as light meals. Come visit Sidney and take a self-guided tour.